When first talking to my counterpart about doing a series of reviews on Alfred Hitchock’s films, I said, Vertigo is one we should not review. 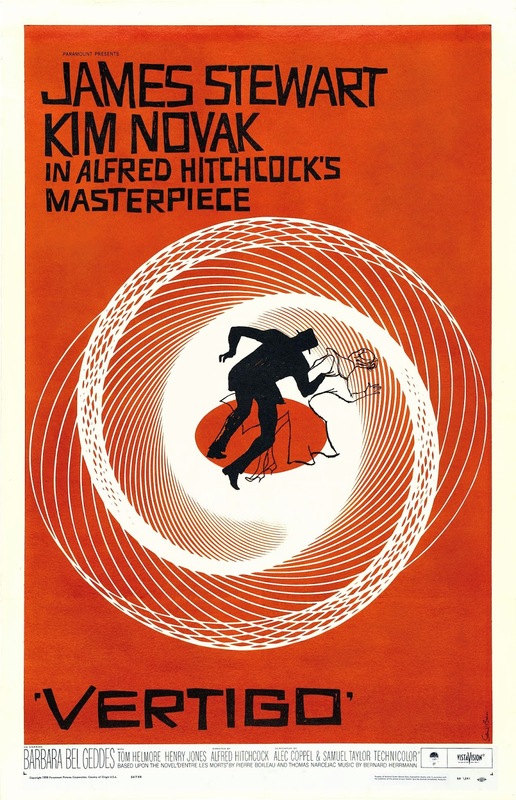 Vertigo is one of Alfred Hitchcock’s most famous movies, and disputed to be his finest and as such, what can I add to an already expansive literature about “The Master’s Masterpiece”? So instead of a true review or an analysis of cinematic techniques, I encourage you to watch the film and will share my thought on it and on the 2008 DVD transfer. Rated #9 on AFI’s 2007 version of its 100 Greatest Movies and their #1 greatest mystery film, (I never have taken much stock in AFI’s anything, as they are far to Studio-centric for my tastes but they do make a cool lists of “movies to see”) Vertigo is a fantastic film from front to back, with use of film trickery for which Hitch is known. You’ve undoubtedly seen the “vertigo effect” in commercials or parody before which was achieved by zooming in with the camera lens while pulling the camera physically back on a crane. The whole film uses extensive use of fog filters to create an ethereal atmosphere, and often distorted lenses to show Jimmy Stewart’s view of Kim Novak’s character. The entire film is also mired with “spirals” in one form or another throughout. First in Saul Bass’ title sequence comprised of spirals, then in characters' hair, flowers, plates, tree rings and especially spiral stair cases - all of which form the visual tapestry of the film. Also, the use of color, in particular red and green, are closely manipulated. (Watch for Kim Novak's entrances in particular...) Finally, the extensive, exclusive use in fact, of dissolves to move between scenes adds to the dreamlike and otherworldly nature of the film. The 2008 DVD transfer is how DVDs should be released of classic movies. The film is absolutely gorgeous, with no dirt, dust, or scratches on the screen. The special features include cast and crew reminiscing on the picture, the restoration team discussing the process, and an audio commentary by William Friedkin (The Exorcist). I think that great movies can be ruined by the presentation, ugly cover art with cheap packaging and dirty transfers being the biggest offenders, Vertigo in the Universal Legacy Series is a great set for any collector or fan of the film or Hitchcock. While many viewers may not care about the 70mm stock footage, most will enjoy the insights into the film by various commentators. Disk 2 is on the skimpier side of things, but offerings like the alternate censorship ending and the except from Hitchcock/Truffaut are must for fans of the film.